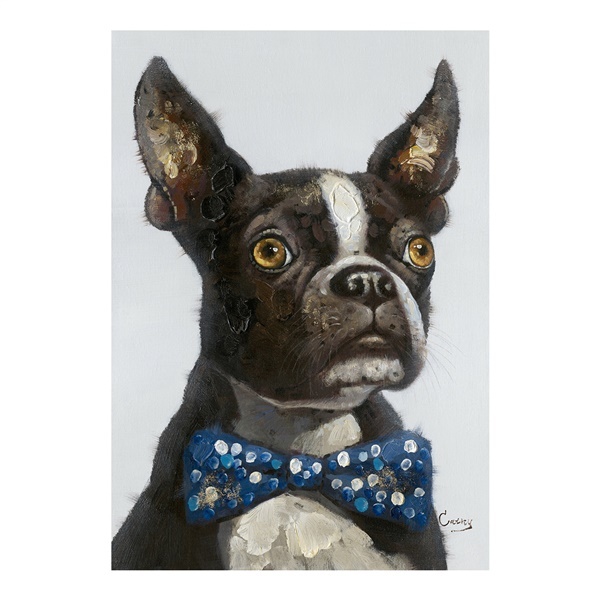 Let your décor go to the dogs with the visual and tactile appeal of Tux Terrier Wall Décor by Moe’s Home. Ideal in the animal-lover’s home, in kids’ areas, or even in an workspace that could use a bit of whimsy, Moe’s Tux Terrier Wall Décor features bold strokes of rich oil paint expertly applied to a crisp stretched canvas, resulting in an accent piece that is as lighthearted and easygoing as it is lightweight and easy to install. Lightweight for easy hanging with included hooks.